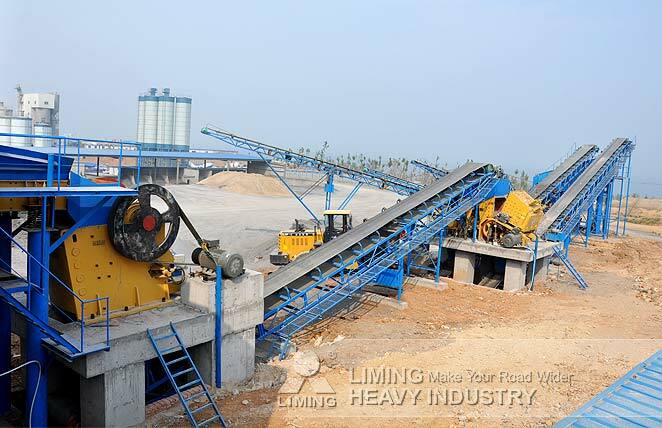 The complete plant includes Vibrating Feeder GZD1300X4900, European Type Jaw Crusher PEW1100, two sets of European Type Impact Crusher PFW1318III, two sets of Vibrating Screen 3YZS2160, and Belt Conveyors, etc. The plant crushes the limestone from 900mm down to 0-10mm, 10-20mm, 20-40mm. The capacity reaches 400TPH, and the final products are used for road and building construction.